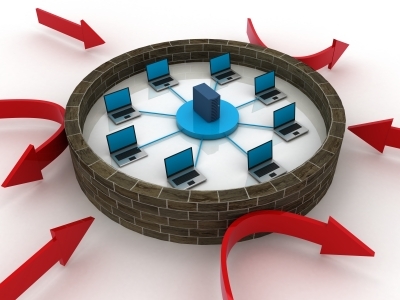 7 network security trends headed our way in 2011 ! Nework security is on just about everyone’s mind as 2010 ends. Nework security expert Adam Powers, CTO of Atlanta-based Lancope suggests the following trends as insight into what to expect in 2011. 1. IT Consumerization and the Internal Threat – the arrival of consumer devices in the corporate network environment is changing the way we think about security the corporate backbone. Perimeter-based defenses such as firewalls and inline intrusion prevention (IPS) aren’t enough anymore. Corporations must think about how they will deal with smartphones, MiFi devices, and other consumer-oriented mobile devices. 2. Rise of Social Media – It’s probably obvious by now but the emergence of social media applications, such as Facebook, have introduced an entirely new attack surface on which attackers can focus their energies. 3. Utilities Finally Being Targeted – The arrival of Stuxnet has come as a major wake-up call to utilities, especially those dealing with the NERC-CIP compliance. As utilities move more and more of the SCADA infrastructure to IP, the need for improved security increases tremendously. 4. Information Leakage and the Ensuing Damage to Company Reputation – As Stuxnet shows, security is almost always event-driven. The WikiLeaks fiasco has brought out two major issues in terms of network security: 1) leaked proprietary information can cause incredible damage to the organization’s reputation and 2) DoS attacks actually can create a major problem in terms of availability of critical aspects of the business (see “Operation Payback ” and attacks against WikiLeaks). 5. “HTTP is the new TCP” – Web 2.0 technologies are changing the way application developers bring their products to the market. Almost all new applications are making use of sophisticated HTTP-based communication channels all of which run of TCP port 80 or 443. The movement of most apps to HTTP has created a significant issue for traditional technologies (such as firewalls) that rely on port numbers to apply policy. 7. To Cloud or Not to Cloud – Virtualization and the notion of moving critical business processes into a cloud-based platform remains one of the bigger issues facing the modern CIO/CISO. Lancope is a privately held, venture-backed company headquartered in Atlanta, Georgia. It sells the StealthWatch System for flow-based network performance and security monitoring.